Travel guides are of course very good sources of information and have multiple uses. Indeed, whilst interning as a Research Associate at the Congressional Research Service (CRS) in Washington DC some 10 years ago, I had access to the largest collection of travel guides I had ever seen in my life. Whilst crisis mapping the Haiti earthquake 2 years ago, one of the most important references we had was the Lonely Planet Guide for Haiti. Indeed, we bought 2 copies just 48 hours after the earthquake. They must be the most used travel guides of Haiti that have never made it to Haiti. No surprises then that the Nazi government commissioned the publication of several Baedeker guides of occupied regions of Europe such as Alsace and parts of Poland. 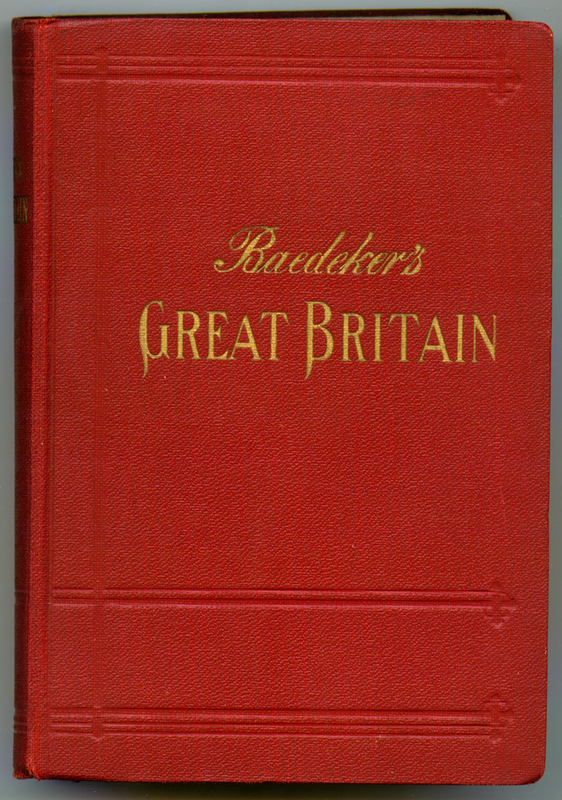 But I was stunned to learn that the Luftwaffe reportedly used the Baedeker guides in their operations. Indeed, the “Baedeker Blitz” refers to a series of retaliatory raids by the German air force on several British cities in April 1942. While these cities, Exeter, Bath, Norwich and York, were of little strategic importance, they were picturesque and historically important. The raids were conducted in retaliation for the Royal Air Force’s widespread destruction of Lübeck, a historic German city. The raids were called the “Baedeker Blitz” because it was “believed the towns had been “selected from the German Baedeker Tourist Guide to Britain, meeting the criterion of having been awarded three stars (for their historical significance).” Indeed, Baron Gustav Braun von Stumm, a German propagandist is reported to have said: “We shall go out and bomb every building in Britain marked with three stars in the Baedeker Guide.” Some 1,600 British civilians were killed as a result and some 1,700 injured. Clearly, travel guides provide situational awareness to both the intrepid traveler in Southern France and the German Luftwaffe in Great Britain. Banning and burning all travel guides as a result would be absurd. (Ironically, Baedeker’s offices were destroyed in a December 1943 air raid). Live crisis maps also provide situational awareness for multiple actors who may use these maps for various purposes. Should we therefore ban and delete all crisis maps? Probably not, even if we could. Instead, appropriate threat-mitigation strategies need to be developed and lessons learned have to be shared quickly and effectively. I do hope that the CrisisMappers Network‘s new Security Working Group will pave the way forward on this. This entry was posted in Crisis Mapping, Crowdsourcing and tagged Baedeker, Blitz, Bombings, Germany, Guides, Nazi, Raids, Travel. Bookmark the permalink. FYI – Paul Crammer (Lonely Planet) is back in Haiti right now, and is traveling the countryside to get updated info on the country. On February 20, 1940, Hitler informed Falkenhorst that he would shortly command a highly secret operation, the invasion of Norway Operation Weserübung, and gave him until 5 p.m. the same day to come up with his basic plan. 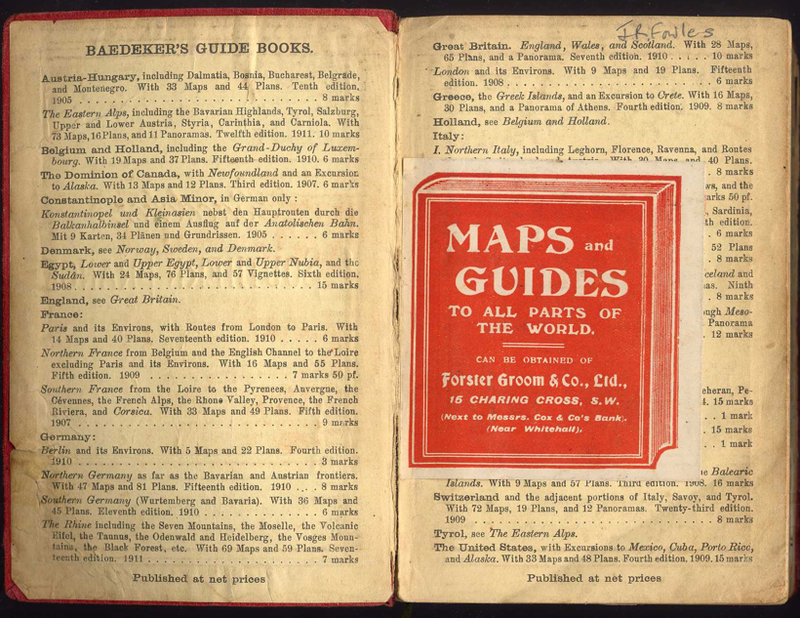 With no time to consult military charts or maps, Falkenhorst picked up a Baedeker tourist guidebook of Norway at a stationery store on his way to his hotel room, where he planned the operation from maps he found in that book. During this terrible period, the German Jews had their crisis mapping tools too. In 1938 the Philo-Atlas was published. It was an atlas made as a handbook for Jewish emigrants. Amid the pages of the Philo-Atlas you can study the geography of those days filtered by a well-defined perspective, the persecutees’ one. Thus, geography became a geography of emergency. For example, the entry “Profession” is dedicated to the description of the most required jobs for each possible country of destination; similarly, “Electricity” gives information about practical situations such as the use of domestic devices in other cultures and so on. Maps show the best countries to emigrate to on the basis of criteria such as International Law dispositions or whether the country belongs to the German sphere of influence. As Karl Schloegel points out in “Reading Time through Space”, the Philo-Atlas is “a genuine Baedeker of flight”.